Augmented computing, AI, blockchain, the internet of everything and other emerging technologies are rapidly transforming the innovation landscape and creating business opportunities for corporations and industry. The best companies — ones that consistently maintain an edge over their competitors — understand early the potential of new technologies, see clearly where they are going and are not afraid of investing in their potential. Doing so requires inhabiting the foggy space at the boundary between the proven and the possible, between a developing technology and its commercial applications. We are experts of that space. For over a decade, we have helped entrepreneurs and executives make complex investment decisions, harnessing innovations before they become mainstream. To help organizations capitalize on these opportunities in key technological domains, we have launched Domain Deep Dive (D3). D3 is a new kind of innovation scouting service designed to take organizations from the surface to the deep-end fast. In just a few weeks, we help sharpen a company’s understanding of key technology trends, brings the most valuable applications into focus, and enable innovation leaders to sift through the global ecosystem to select the best partnership opportunities. We use data sources, expert interviews, and research to bring into focus the key trends impacting a technology domain. We assess their time horizon — Will their impact be felt now, in a year, or in 5 years? And finally, we help organizations reconcile trends with their internal innovation demands, creating a personalized scouting strategy. We systematically explore the ecosystem, screening and vetting potential partners, technology suppliers and startups. We progressively refine our search, from thousands to hundreds to a handful of targets, delivering, in the end, a shortlist of the most promising technology partners and startups that meet the deep dive’s specific requirements. We act as an interface to the innovation ecosystem, engaging with target partners to drill down on their technology’s advantages, applications and potential flaws. We relentlessly and objectively validate information at the source. We do this with the confidentiality and care needed to protect our clients’ IP, insights and strategy. D3 is flexible. Our clients are at different stages in their digital transformation journey. 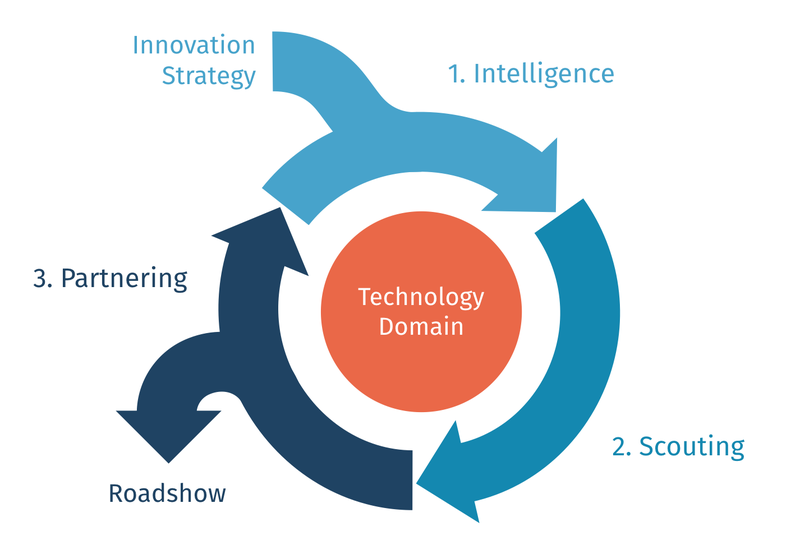 Some have a well-defined innovation strategy and a clear understanding of technology trends that matter to their business. Some must find the right open innovation partners and engage with them. Some look to us to help them focus their upstream intelligence efforts. All, thanks to D3’s modular approach, can accelerate their innovation strategy regardless of what stage they are in. How did we come up with this proprietary D3 approach? Because it is the same process we have used internally in dozens of projects where clients asked us to tackle new innovation scouting problems. It has helped us explore new domains and we know it can help any organization kickstart its innovation scouting program. 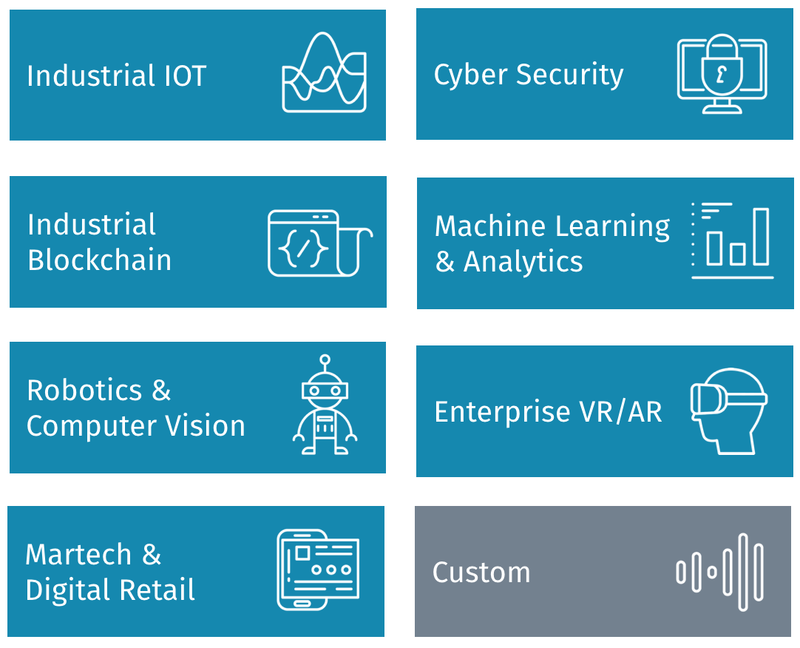 At launch, we are offering D3 in seven domains in which we have strong expertise and track record: Industrial IOT, Industrial Cyber Security, Industrial Blockchain, Machine Learning & Analytics, Robotics & Computer Vision, Enterprise VR/AR, and Martech & Digital Retail. If you are an innovation executive, an R&D manager or a corporate development leader, you simply cannot miss out on innovations that have the potential to materially change the trajectory of your industry — or upend it. Let’s talk about how to harness them to your advantage. If you’d like to learn more, check out our website or drop us an email at d3@firematter.com. Silicon Valley’s market entry, business development and technology scouting partner for international corporations.